When you’re not a gym person, joining a gym is overwhelming. You’re bombarded by all kinds of new vocabulary, and a lot of the coaches and older members have forgotten what it was like when they were starting out. The last thing you need is a bunch of new jargon thrown at you. Just remembering the coach’s cues, when to breathe, and counting reps all at the same time is hard enough. 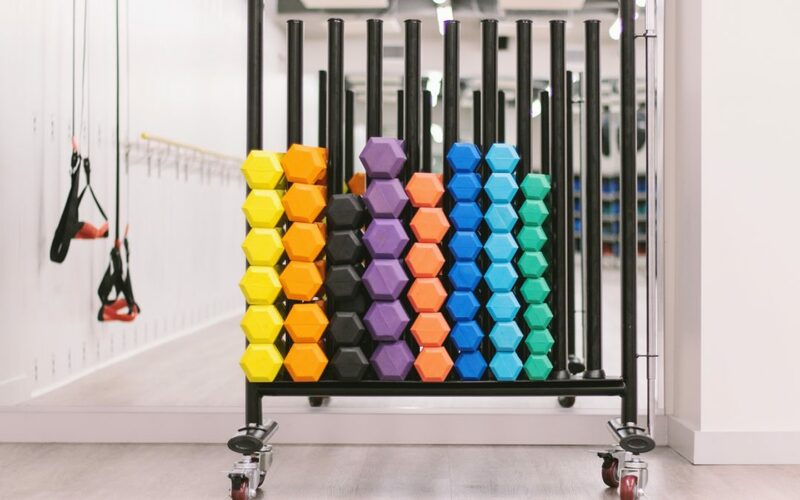 We put together a crash course on gym culture and vocab so you can feel comfortable jumping in on your first class and focusing on just the important parts—getting a good workout and making new friends. Bootcamps are all over the place these days. They’re group fitness classes that are structured around various forms of interval training. That means there are a series of exercises or stations that members rotate through, working in short bursts of intense exercise (often less than a minute each). Bootcamps offer a fun, social way to get in a great workout in a short time. 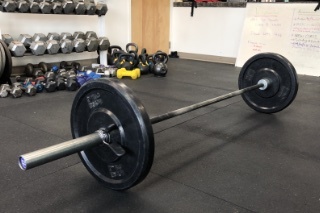 Barbells are long bars (usually 7 feet) that are loaded with weights (called plates) for strength training. We love barbells because you can add weight in small increments and eventually work up to heavy loads. This makes them great for getting super strong. Plates come in two varieties—steel and bumpers. Steel plates should be self explanatory. Bumpers, however, are made of dense rubber, or steel with a rubber outer later. They have the advantage of being safe to drop without cracking or damaging the floor. 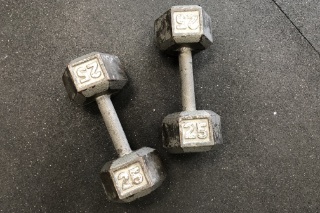 Dumbbells are hand weights that vary in size from very small to very large. A typical set of dumbbells will range from about 2lbs. up to 50lbs. Although at a very well-stocked gym you might see them range up to 100lbs. or more. Dumbbells are actually great because they’re less stable than barbells—you have to stabilize each hand individually, which is great for building healthier joints and symmetry. This just means doing exercise with only the weight of your own body, and no extra equipment. Push-ups, pull-ups, planks, and bodyweight squats are all examples of bodyweight exercise. 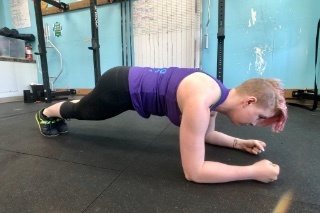 We’re also big fans of animal movements like bear crawls, which we’ll talk more about later in this article. 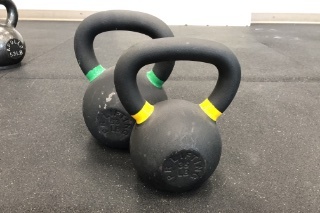 It’s rare not to see at least a few kettlebells sitting around in a gym nowadays. Usually described as a canon ball with a handle, they’re the same idea as a dumbbell. However, their shape makes them great for swinging around, which is a fast and efficient form of cardio. 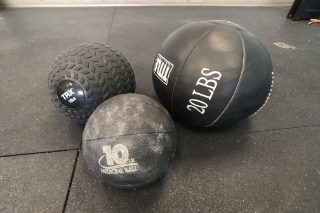 Medicine balls have been around for a really long time, and they come in a bunch of different shapes, weights, and sizes. Your classic medicine ball is usually weighted between 8 and 25 pounds, padded, and wrapped in leather (or something resembling it). There are a lot of varieties though, and you’re just as likely to see hard plastic ones that are about the size of a cantaloupe. You’ll most likely see people using them for adding weight to their abdominal exercises, or for slamming on the ground for cardio. Foam rollers have become really popular in recent years, and they’re a great tool for massaging stiff or sore muscles. 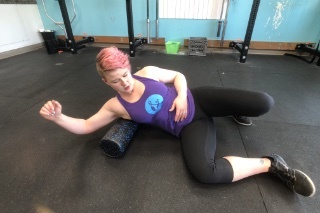 You’ll sometimes see people spending a lot of time rolling out their legs and backs—while this might feel good, the best way to use a foam roller is to spend 30–60 seconds rolling out a tight spot, and then transitioning to an exercise that uses the muscles you just loosened up. 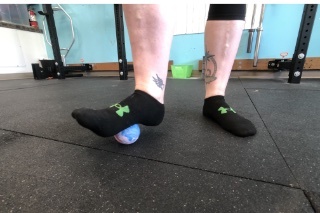 Much like foam rollers, lacrosse balls are great for getting into tight spots in your muscles and improving your range of motion. Follow the same advice for foam rolling—massage the tight area for 30–60 seconds, then move directly to an exercise that uses that muscle. Oh man, there’s ALL KINDS of supportive gear you’ll find in the gym. The most common will be knee or elbow sleeves, and wrist wraps. Sleeves just add a little compression and warmth to the joint—they’re popular with people who are prone to developing tendonitis. 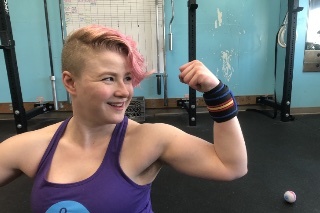 Wrist wraps just add a little compression and structural support to the wrist when you’re bench pressing or doing back squats. Chances are, you’ll only need this if you get to the point where you’re lifting pretty heavy. Bands are great tools for all kinds of things. They can be used to make some exercises easier (like pull-ups), or to add resistance to other exercises (like pull-downs or pull-aparts). They can also be used to help with stretching and a bunch of other things, but that covers the most common uses. A catch-all term for strength training. It includes weight lifting, bodyweight exercise, TRX bands, or anything else where you’re moving your muscles against something that’s providing resistance. “Conditioning” is industry jargon for cardio—you’re more likely to see strength athletes use this term. I guess “cardio” conjures too many images of treadmills and Zuumba, or something. That said, at Bold & Badass conditioning workouts are more likely to look like lifting weights quickly than a long session on a stationary bike. These are all names for different formats of interval training. What’s that mean? An interveral is where you exercise at max effort for a short burst of time—usually in the range of 10 seconds to a minute—and then take a short rest—usually for a similar amount of time. Circuit – Alternating through a series of 2 or more exercises in sequence. Tabatas – An interval training format where you do an exercise for 20 seconds, rest for 10 seconds, and repeat for a total of 4 minutes. It can include one or more exercises, and you can do multiple 4 minute rounds. AMRAP – Stands for “as many reps as possible,” and it means just what it sounds like. You pick an exercise, set a timer, and do as many reps as possible in the time. This can also be done as a circuit, where you circulate between 2 or more exercises without rest until the timer ends. 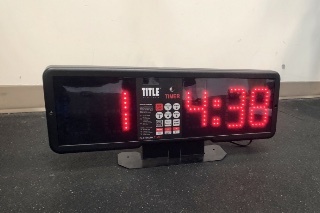 EMOM – Stands for “every minute on the minute.” You start by setting a timer to go off ever minute. At the top of the minute, you do the prescribed exercise(s) until you’re done, then you rest for however much time is left of the minute before starting the next round. 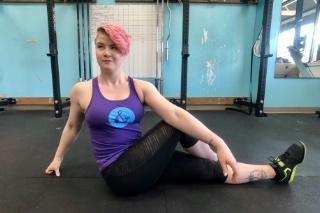 When you hear gym people talking about working on their mobility, what they really mean is improving the ranges of motion in their joints—especially the hips, shoulders, and upper back. Foam rollers, lacrosse balls, and different types of stretching are the most common ways people improve their mobility. A while back, “core” somehow just became a fancy word for abs. However, your core is actually every muscle between your shoulders and your hips. A good exercise program is going to work every aspect of your core—the front, the back, the sides, rotation, and even anti-rotation. Animal movements have been gaining in popularity over the last few years, and you’re likely to encounter them in bootcamp classes. These are movements that have you crawling, scooting, and rolling around on the floor in all kinds of odd positions. Animal movements are usually pretty challenging at first, but they’re awesome for improving your general strength, mobility, stamina, and stability all at the same time. Abbreviation for “Personal Record.” It’s really exciting lifting a weight that you’ve never lifted before, and weight lifters love talking about their PRs. Records aren’t limited to just lifting more weight though—you could set records based on time, reps, or distance too (depending on the exercise, of course). 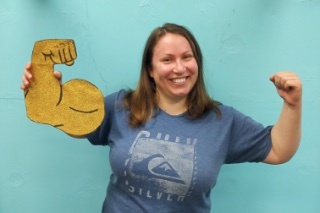 We love celebrating PRs at Bold & Badass by taking pictures with the Golden Biceps! 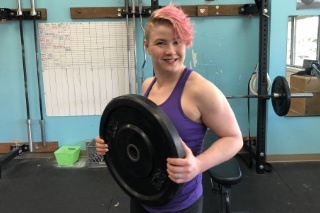 The sport of Powerlifting is one of the most popular strength sports, along with Olympic Weightlifting, and Strongman (yes, unfortunately it’s still called Strongman when women do it—and they definitely do do it!). Powerlifting is all about who can lift the most weight in the squat, bench press, and deadlift. We’ll talk about all three of those lifts below. 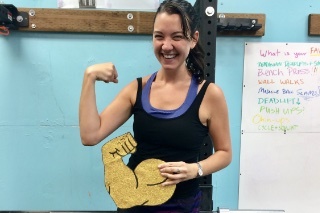 On the topic of Powerlifting, we’re big fans at Bold & Badass. Power Hour is our powerlifting class open to all members who want to focus on learning or improving their lifts. 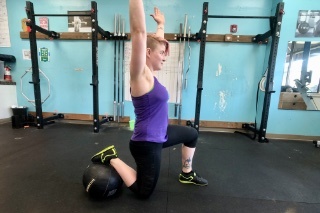 Scaling an exercise down means to modify its difficulty to make it more accessible. Exercises can also be modified to accommodate injuries, or even to make them more difficult if they happen to be too easy. 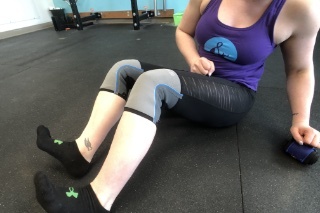 Everyone, no matter how long they’ve been going to the gym, will need to scale or modify an exercise at some point, so it’s totally not a big deal. Here’s an important distinction that a lot of people don’t know. Pull-ups are when you grab the bar with your hands facing away from you, like you’re peeking over a fence. 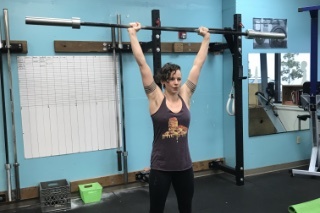 Chin-ups, however, are when your hands are facing toward you. Pull-ups are usually harder than chin-ups, so it’s important to know the difference when you’re talking about goals with your coach. People sometimes worry about squats being bad for their knees. Good news—this is almost never actually the case. We’ve only seen a couple of people come through our doors who have an injury or medical condition that truly disqualifies them from squatting. 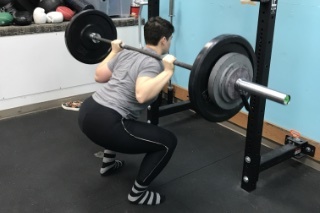 If you have trouble squatting, chances are good that it’s more of a flexibility issue in the muscles of your hips and legs, which can be fixed pretty easily. Much like the squat, there are plenty of variations of the bench press. You can do it with barbells, dumbbells, or kettlebells. You can do it on a flat bench, or an incline, or even a decline. You can even do it without the bench entirely and just lay on the floor (called a floor press). Is a compound movement that’s good for building strength and lean muscle mass. Is one of the three competition lifts in Powerlifting, which we love. Makes you feel super beefcake when you set a new PR ? This is the one you see your CrossFit friends posting pics of on Facebook. 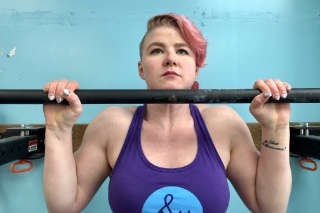 You know the one—standing upright with a barbell at their hips with a ton of plates on it. 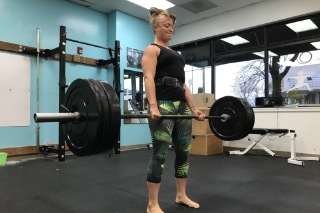 You’ll understand when you try it—there’s something about setting a new deadlift PR that makes you feel like a superhero. AKA the OHP. You might also just hear it called “the press,” but we find this usually creates more confusion than it’s worth. 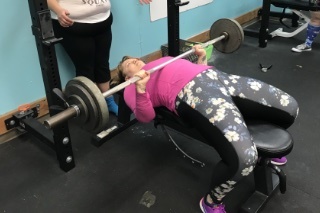 You see this one less often in regular gyms, but it’s on the rise and is one of the main lifts we practice at Bold & Badass. It’s great for building upper body strength and shoulder definition… and it feels like a power pose! There you have it! We covered a lot of ground. From the difference between barbells and dumbbells, to different ways to structure your cardio, and back again to some of the major lifts you’ll encounter. 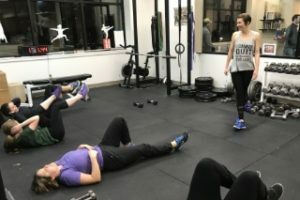 Hopefully this article has given you enough info to not feel bewildered when you start at the gym. Was there something about the gym you wanted to know that we didn’t cover? Leave a comment below and we’ll be sure to include it next time! 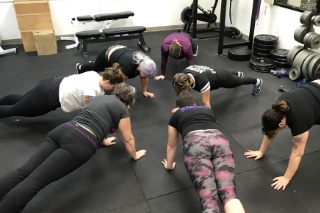 Try a free bootcamp class, on us! 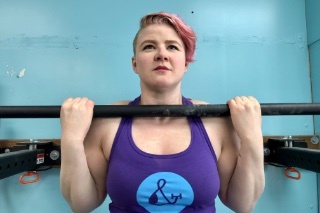 Take control of your health and fitness in Portland’s premier body-positive gym! Kickstart your transformation with a free class to find out if we're a great fit. We think you'll love it here. If I don’t love the skin I am in now, what difference will it make if I’m a smaller size? Can you change your story– for the better? Deb on Body-positive: what does it even mean? 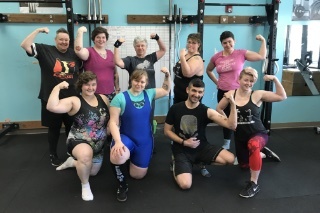 Take control of your health and fitness in Portland’s premier body-positive gym! Kickstart your transformation with a free class to see if we're a great fit.